Website: Manhattan 360 on The South Bay Show! 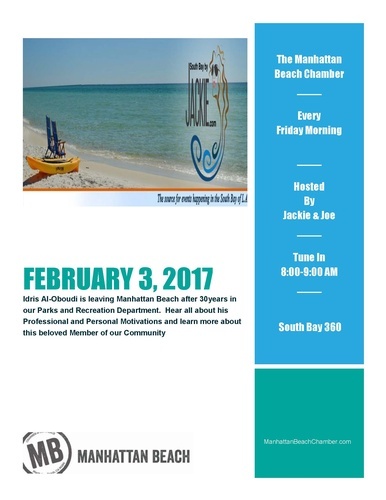 Tune in Friday mornings at 8 am for Manhattan 360 with Jackie! The South Bay Show focuses on the Manhattan Beach Chamber of Commerce and our role in the community and how we advance the quality of life in the Beach Cities.